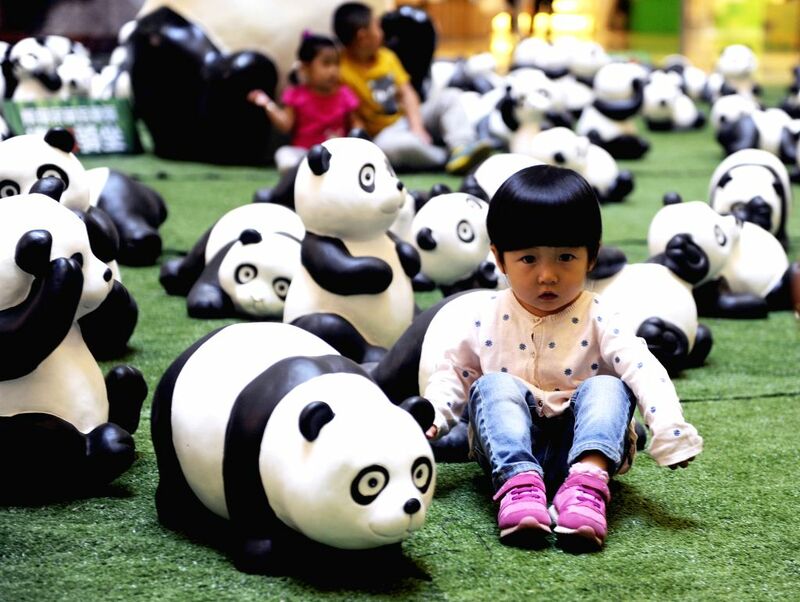 HOHHOT, Aug. 26, 2014 - A child poses for photo with panda figures at a shopping mall in Hohhot, capital of Inner Mongolia Autonomous Region, Aug. 26, 2014. About 100 panda figures were shown in the shopping mall. 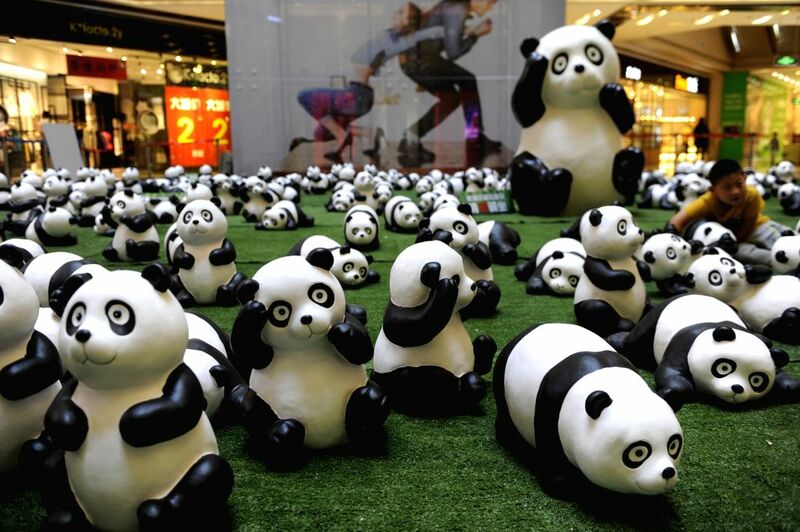 Panda figures are displayed at a shopping mall in Hohhot, capital of Inner Mongolia Autonomous Region, Aug. 26, 2014.